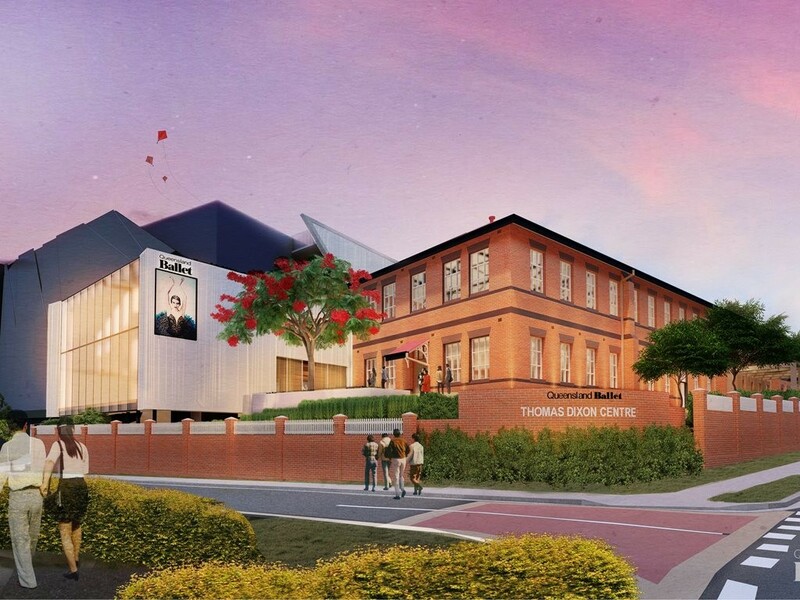 Australian architecture firm Conrad Gargett has been chosen to redevelop the home of the Queensland Ballet, the Thomas Dixon Centre. Redevelopment of the building into a state-of-the-art centre will enable the company to accommodate a larger ensemble of dancers, expand dancer training programs and enhance community initiatives. The heritage-listed Thomas Dixon Centre, located in Brisbane’s West End was originally built as a shoe factory in 1908. It was purchased by the Queensland Government and refurbished as a centre for dance and arts in 1991. The design of the refurbishment and extensions will embody the vision for Queensland Ballet, providing new world-class facilities including refurbished studios and two new additions: a Performance Studio and Wellness Centre. These new additions will be set back from the heritage building, creating a new central promenade arrival and circulation space. This space will be a focal point for Queensland Ballet and the ballet community as a foyer to the new Performance Studio and as the place where the Thomas Dixon and Queensland Ballet story will be experienced. The community will have a window into the ballet’s production as well as a meaningful and engaging experience through displays of costumes and interpretive artworks.